The Tourism and Commerce Marketing of Dubai partners with China’s internet major Tencent to help in promotion of the destinations for Chinese tourists as the tourism number surges 41% last year. Dubai Tourism said that the agreement will result in ecosystem-wide strategies spanning the Tencent network to expand Dubai Tourism’s marketing reach and penetration within China. 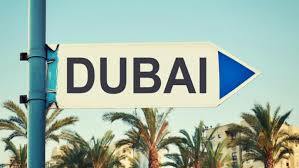 China becomes one of the fastest growing source markets for Dubai. Tencent Network will promote its offerings including WeChat and WeChat Pay as an option for convenient and secure mobile payment for Chinese tourists at local outlets. In parallel, Dubai Tourism will encourage Dubai merchants to leverage the Tencent Cloud and media solutions to enhance the overall city-experience for Chinese visitors and drive spending from this significant consumer base. Dubai is boosting its profile in China to attract more tourists after their number surged to 764,000 in 2017, pushing it to fifth spot among the emirate’s global source markets, after the UAE eased visa rules for Chinese nationals. Dubai Tourism in January this year also signed an agreement with Chinese telecom operator Huawei, which will pre-load all its devices with both user-generated and official cinematographic content of Dubai. On Monday, the agreement was expanded further, with Huawei Mobile Services agreeing to offer useful and accessible content about Dubai, in particular through the company’s newly-updated SkyTone travel and roaming apps.